Nick Adams hung with huge company during his short life. He became pals with James Dean, Elvis and Godzilla. The Oscar nominated actor mostly had supporting roles in various movies and TV shows. But in the Fall of 1959, Adams had his chance to take the lead when he rode onto the small screen as Johnny Yuma, a former confederate soldier roaming the wild west. He helped develop the series so it would be tailored to his desires. He even made sure it had a cool theme song sung by Johnny Cash. The Rebel: The Complete Series brings together both seasons of his journey. Johnny Yuma is still messed up from his time fighting in the Civil War. He's not hero full of bravado. He's a complicated man that recognizes the complications around him. This isn't a straight out celebration of the virtues of the wild west. He's looking for a calm place among the rough and tumble Texas countryside. That does't mean he's a complete pacifist. He totes a sawed off shotgun to back down anyone who can't take a hint that they're on the wrong side of justice. It's kinda like Kung Fu with firepower. "Johnny Yuma" opens the series as he rides into his hometown after the war. Little does he know that there's no home waiting for him. His sheriff father has been gunned down by a group of outlaws led by Dan Blocker (Hoss on Bonanza). Johnny must avenge his father's death and make the townspeople feel safe once more. Among the familiar faces on the dirt streets are Richard Bakalyan, John Carradine, Jeanette Nolan and Strother Martin (The Wild Bunch). The pilot and 34 more episodes were directed by Irvin Kershner who'd eventually helm Star Wars: The Empire Strikes Back. Johnny Cash appears in "The Death of Gray" about two soldiers who aren't ready to admit the Confederacy has lost the Civil War. While Johnny wears his old battle hat, he's far from a true believer in the cause. There are no other supporting characters for Yuma. Every episode is a whole new land filled with new people (although a few supporting actors return in different roles). His only constant companion is a diary that marks his quest to calm. Yuma comes off as the kind of character that would ride into an established Western series as a guest star. He'd be that troubled veteran that would arrive in Dodge City or the Ponderosa. This does keep the show from becoming formulaic since he's a lonely rider on the frontier where new adventures are just up the trail. While the series only lasted two seasons, it had a bit of an impact. The theme song was mentioned on Senfield a few times. This is a Western that deserves a revival with its tale of a man searching for inner peace. The video is 1.33:1 full frame. The black and white transfers vary from episode to episode. Some are of a higher quality with sharp definition. Others are a bit fuzzy, but nothing too nasty. The audio is Dolby Digital Mono. Johnny Cash's theme song comes through cleanly. Looking Back at the Rebel (66:31) is a great interview with Andrew J. Fenady, the creator of the series. He was production partners with Irvin Kershner. The duo did a news program that eventually led to them making Stakeout on Dope Street with Haskell Wexler. Fenady recounts how he met Nick Adams on a failed movie project. Eventually they all did the show. Nick Adams Remembered (18:47) by Allyson and Jeb Adams. They have tales of their dad and the impact of the series on their own life. They also see the show on the same level as Kung Fu. They have written a book called The Rebel and the King that includes Nick Adams' diary of his time with Elvis. The Yank (28:55) is the pilot for the reverse version of the show with James Drury. Shame the bookend wouldn't work out. 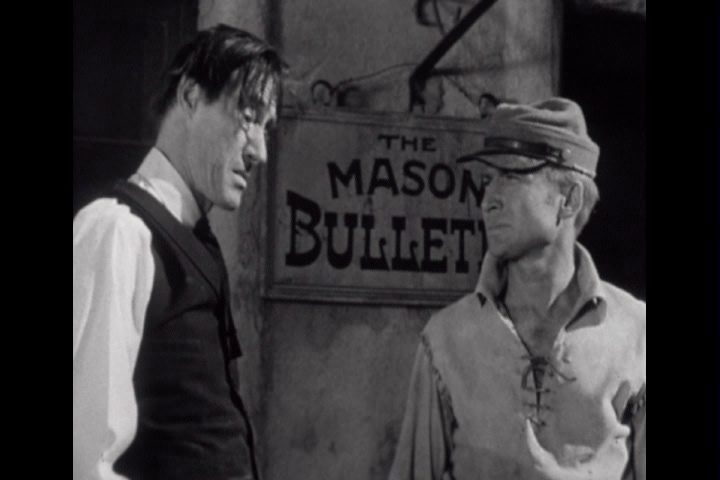 But Drury would become famous a few years later as The Virginian. Nick Adams Commercials (4:17) include his plugs for Cheer, Crest and LM Cigarettes. Don't smoke. Production Photos (10:48) is a montage with Fenady narrating which is nice. 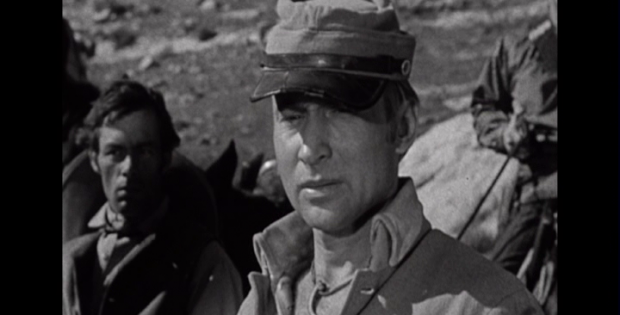 The Rebel: The Complete Series brings back Nick Adams' series about a former Confederate soldier looking to reclaim the parts of him lost in battle. Timeless Media Group presents The Rebel: The Complete Series. Starring: Nick Adams. Boxset Contents: 70 Episodes on 11 DVDs. Released: August 18, 2015.